No need to bother with standing in line, just give us a call! We love our customers at MVD Express. We love them so much that all we want to do is hang out all day and talk about the latest news, watch the game and enjoy their company. Although it breaks our hearts, we know that the feeling isn’t exactly mutual. When you need MVD services but don’t want to come in and visit, we have dedicated customer service agents at our call center you can talk to in order to get everything taken care of—over the phone. For a more detailed list of everything our call center agents are able to help you with, visit our call center page or call us at 505.294.1732. We do love you. We do. But we know you have other things to do! 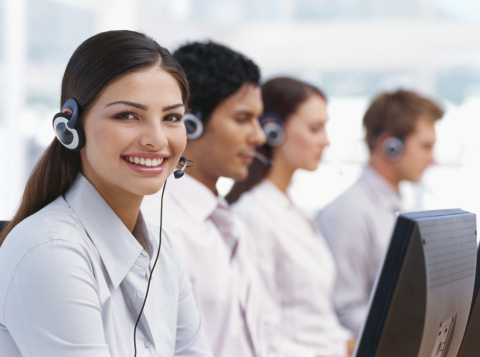 Our call center agents will eliminate the lines completely and can take care of your needs immediately. They’ll give you the same quick, friendly service that you have come to expect at your local MVD Express. Get on your way in no time with our services!